On the Boston side of the Mass Ave bridge sits an innocuous bar that gets a little rowdy on the weekends. This crowd-o-phobic patroller ventured through it’s salon-style entrance one Monday night to sneak a peek at their nachos. And by “peek,” I mean inhalation. 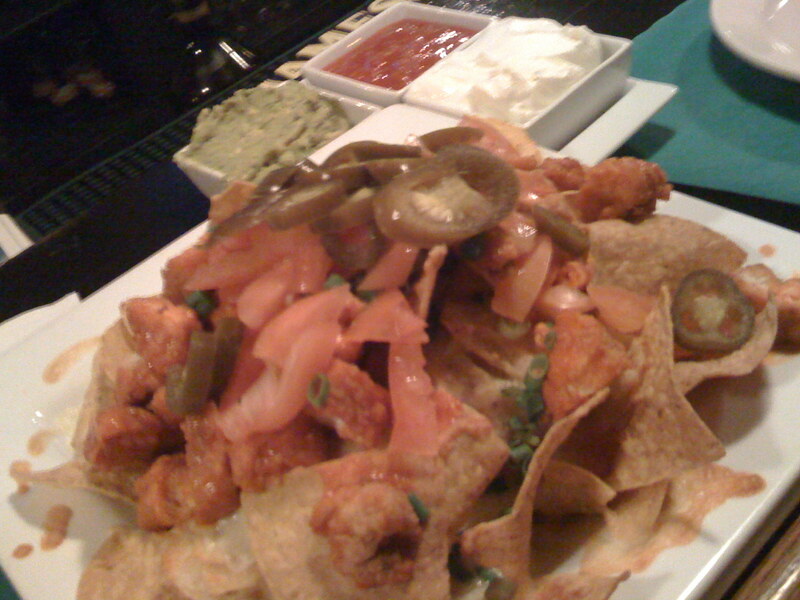 Of course, that magic phrase “buffalo chicken” tosses this patrol into the “Specialty” section, but it’s location and the delightful service earn it this call to my fellow patrollers (who are more self-controlled than I in the face of buffalo chicken) to give Roads’ regular nachos a full and fitting review. Overall: A very sturdy 31. And if I could give bonus points for great staff, friendly patrons, and bro-voking draft list, I certainly would. 🙂 Thanks, ‘Roads!